Is social media an ultimate growth hacking tool? Claiming that social media is the ultimate growth hacking tool in every regard would be heavily overstated. Still one must acquiesce that it is an important realm, which social media users are not only exploring for communication, but, increasingly so, in search for relevant information. Therefore, brands of every imaginable industry and of all sizes utilize its enormous potential for marketing purposes. What was once a rarity, has now become the norm: beside communicating and keeping track of each other, people also use social media to make buying decisions. 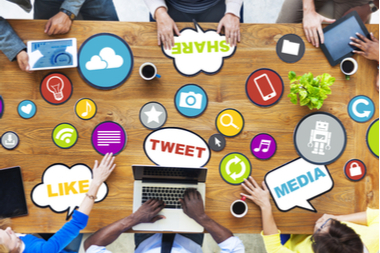 In fact, over 70 % of purchase decisions are triggered by social posts every day! Of course, it makes it a necessity for companies to be where their potential customers are. Is growth hacking on social channels the right tool for you? Even though social media platforms provide the option to advertise, they do not really care much about one’s marketing budget. The underlying goal is to reach future consumers and elevate your business in the process. This is why social media marketing is considered to be one of the most cost-efficient ways to gain visibility for your business. It is a simple and fast route to direct engagement with a broader audience, which can help your brand to get the acknowledgement it needs to expand. Since social networks already have a great momentum going and move at a crazy speed, you do not need to wait long to see the desired outcomes, provided you are applying the right growth hacking strategies. 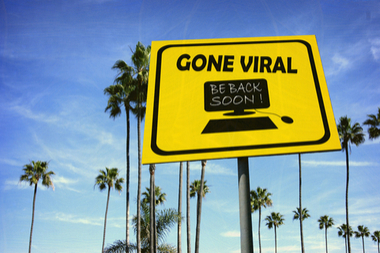 But there is nothing that comes close to the impact viral content can have on your online success. Virality – or its deliberate use within the framework of viral marketing – is a phenomenon closely connected to social networks. Similar to the way that a virus spreads from a person to another, the term refers to how information about a product is spread through the pathways of social platforms. The principle of virality is based on the word-of-mouth. Typically, the audience is supplied with something of value for free, a content that encourages people to share with as many others as possible. It is a special favorite of businesses with smaller marketing budgets and outweighs the much more costly traditional marketing tools. Timing: The right timing of a video’s release seems to be a quintessential factor to a clip’s viral success. For example: If there is a new, long-awaited blockbuster coming up, and you release something related to this film, your video is guaranteed to get lots of views. Pop–culture expectations: Make use of pop culture. People are more prone to sharing a video, if it contains something they like and already know, for example a catchy tune. Surprise: Clips that wow the viewer with off-the-wall creativity or make them say “What the hell did I just watch?”, have a high potential of going viral. Internet sharing habits: Combining sharing habits – the general public’s love for baby animals, just to name an example – with something relevant increases the odds of a video becoming viral. Blendtec and its campaign “Will it blend?” is probably one of the most often cited paragons for the efficacy of virality at a very low budget. The manufacturer of blenders demonstrated in a series of videos, that their blender could grind anything from iPods, air soft guns, glow sticks, golf balls to cameras and even a ski. What channels should I focus on? How do I know if a channel is working well for me? This option is fairly straightforward: the more you pay, the more customers you get. Make sure that your customer’s lifetime value (LTV) exceeds your cost of acquisition (CAC) – the recommended ratio is 3:1 LTV:CAC maximum. As far as building a list of keywords, using Google tools to track the campaign or setting up a budget are concerned, there are plenty of helpful online references to guide you through this process. It is a matter of fact that optimized pages with quality content – be it reviews, articles or landing pages – have a larger potential of attracting thousands, even millions of new users who are searching for information. Thus, it is vital to have firm knowledge on how SEO works and how to track and measure success. Even though, in the beginning, sales is a very manual and unscalable process, the aim is to develop a profitable and repeatable sales process. As long as you have 50 signups per month, it might be pretty simple to get people onboard and demo them. But once you have reached the hundreds or thousands of new leads a month, you might need to look for advice when to scale and how to go about it. Content that people actually want to read and which is also distributed well, is an icebreaker in terms of liking and trust between you and your users. It can be immensely helpful in eliminating sales resistance for potential customers. PR is the perfect means to get attention above and beyond your current inner circle. It allows you to reach a much wider audience and get your product in front of people, you would have probably never had access to otherwise. There are insightful guides on the internet on how to get media coverage. According to Leo Widrich of Buffer, the trick lies in telling great stories, getting acquainted with the writers you want to co-work with, and above all, making sure that you are getting covered regularly. Social media platforms are primarily about building relationships and maintaining them. They can be used as a complement to the traditional customer acquisition processes. Sure enough, a company’s page or groups can be employed for this purpose, still the most resourceful channels rely mainly on influencers’ outreach. Although being carried away by a high number of likes or good sharing rates might be very tempting, bare in mind that what truly matters in the end are the newly acquired customers. Believe it or not, getting inside the inboxes of your potential customers and deepening your relationship with them is still considered to be one of the best ways to generate high quality leads. Chris Hexton, co-founder of the email marketing platform Vero, managed to increase his conversions through email marketing by 450 %. His key to success: he applied targeting, segmentation and automation.